Only a few ocean-dwelling creatures can boast of the ability to fly. Among these is the mobula ray or devil fish. With wings that span over two meters from tip to tip, mobula rays can propel themselves and breach the surface of the water for as high as a couple of meters. 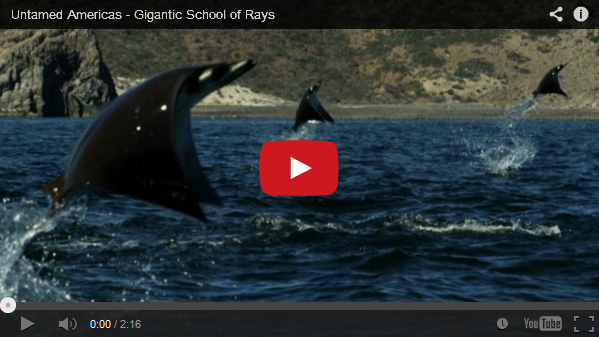 Not much is known about these flying rays. In the short film below by National Geographic, tens of thousands of mobula rays converged in an epic gathering off the coast of Baja in California. And being the mysterious creatures that they are, they just vanished as quickly as they appeared. It's an amazing aspect of nature that the National Geographic was luckily able to film.